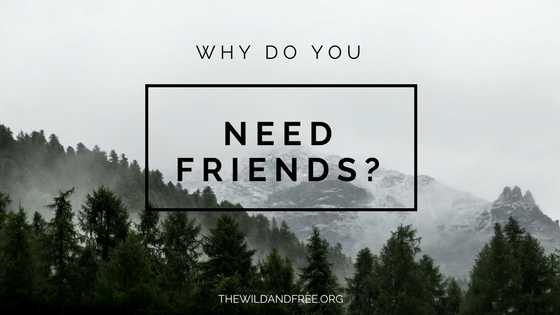 Why Do You Need Friends? I know this verse by heart, (although I always have to look up where it is found exactly) partly because my Jesus lovin’ Mama made us read a proverb a day out loud on the way to school growing up. And partly because good friendships and close family relationships have ALWAYS been important to me. Now, I’m not saying that it is something I have prayed for every day of my life, but it is definitely something that I have prayed throughout my life. Have I always made wise decisions concerning my friendships and relationships? I have DEFINITELY made some fatty mistakes. But I have learned from them. And I have seen God redeem my mistakes and continue to bless me extravagantly with Godly friends and family. But I see a rather dangerous trend emerging with friendships and the rise of social media in our society. With access to EVERYONE at the touch of a screen, it’s easy to ignore the face to face time and nitty-gritty relationships of real life. Am I saying that friendships that begin over social media are bad? Not at all, but there has to be some interaction with people in the flesh for friendship to serve its full and godly purpose in your life. When all we see and show others is surface level stuff or curated images, we can tend to withdraw and retreat inward, we can tend to move away from Godly interdependence and into independent hermit mode. We NEED people; real, imperfect people, face to face, in the flesh, friends who know our stink and love us anyway if we are going to fulfill the call of God on our lives. 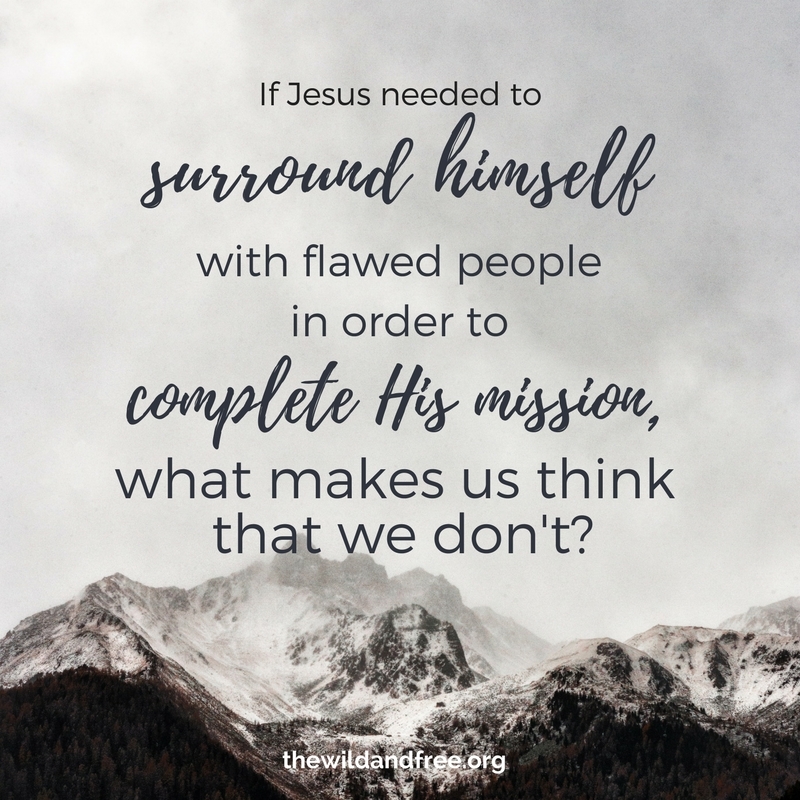 If Jesus NEEDED to surround himself with flawed people in order to complete His mission, what makes us think that we don’t? Yes, there was the whole “discipleship and multiplication” principle in play when Jesus decided to invite 12 knuckleheads to follow him around for 3 years. But he didn’t have to travel, eat, camp, and fart with those guys to teach them about the Kingdom. He wanted RELATIONSHIP. He wanted friendship with them. After all, God is relational to His core, isn’t He? Remember the whole “let us make man in our image” bit from Genesis that started the creation of humans? No, God does not NEED us in order to exist, obviously. However, there is a place in God’s heart that ONLY you fill. Heaven would not be complete without you. This is why He took the gamble of sending Jesus down to rescue you. SO, if Jesus needed friendships, I think His life is the best place to start looking at how to do friendship right. These would be the people in the crowds. The people that Jesus ministered to but he probably didn’t have one on one convos with. These are the people that heard the parable but not His heart behind the parables. These would be “the 70” the people that spent more time around Jesus. He probably had some one on one time with them. They might have heard his heart behind some of the parables. They probably even shared several meals together. They had spent enough time around him to duplicate what He did. They were equipped to go out and do the works of Jesus before His death, burial, and resurrection. These would be the 9 disciples (other than Petey, Jameth, and Juan) ((Don’t tell me that you don’t give the disciples nicknames too sometimes??)) They spent a LOT of time around Jesus. They heard his heart, saw him cry over Lazarus, they knew His mama, and they got to see and do a ton of AMAZING things with him. Petey, Jameth, and Juan… Ok fine. PeteR, JameS, and John. They were his inner circle, his “ride or die”, the guys that he called on for help in his hour of need. They are the ones he asked to pray with him in his hour of greatest need at the Garden of Gethsemane. Errone on the internet. Everyone that sees your posts. You probably don’t legitimately KNOW them. You’ve never spent time with them in a setting where they can see your unfolded laundry or the dog hair on your floor. These people know some of your quirks and love you anyway. They have probably been to your house and seen the dog hair on the carpet or the crumbs on your floor (you won’t have both, trust me.) You’ve shared several meals together and even some fairly intimate conversations. They probably know some stuff about you that, if they betrayed your confidence, they could hurt you. You enjoy being around them. They enjoy you. These are who I like to call “heart friends.” They SHOULD be God-ordained friendships. They should be people that you can trust. If you are married, your spouse should be intimate friend numero uno. These are the people that you call when your favorite dog of all time dies. These are the people that you call for prayer because you know that they will pray for you and with you wholeheartedly. These are the Jonathan and David type friends. These are the friends that become family that you (ok, maybe just “I”) would get in a knock down drag out fist fight for. These are your people. These inner circle friendships are also, what I like to call, mutually building. You pour good stuff into their lives and they pour good stuff into your life. Granted, everyone goes through tough seasons, so this “mutual pouring” might not happen every single conversation, but for the most part, you don’t walk away from encounters with these folks feeling drained or emotionally exhausted. Godly, inner circle friends will speak eternal truth back to you when you need encouragement to keep going. Typically, I’ve found that most people do not have more than 5 of these people in their life at a time. Sometimes even just sitting down and recognizing that there are and should be different levels of friendships in your life can help clear confusion. I can tell you from first-hand experience that a lot of heartaches can come from trying to force a person into a level of friendship that God would not put them in. Wondering where people currently fall in your friendship levels? Want Help Sorting Through Your Friendships? Sign up with your email so that you never miss an article. Plus you'll even get a little extra motivation every Monday morning-ish. The link to your FREE worksheet will appear immediately after clicking "Sign Up"
We respect your privacy and promise to never sell your info or bombard you with junk. Click here to download your free worksheet!